After a hectic day, stop by Kildare’s of West Chester. We’re always here to provide comfort food with a pint and friendly service. Although we offer takeout meals, we understand that some nights you might just want to stay in, make something simple and put your feet up. We asked executive chef Stephanie Gray to share some tips so that, on those “stay-in” nights, you have everything needed to prepare a simple yet delicious meal at home. Adding a pinch of sea salt to any simple recipe adds an extra dimension. “Sea salt, compared to table salt, provides a better flavor, and I find no salt is needed after the dish is completed,” she explained. Everything is better with butter. When pulling together a simple meal, butter provides a creamy texture. Salted butter also lasts longer in the fridge, since the salt acts as a natural preservative. 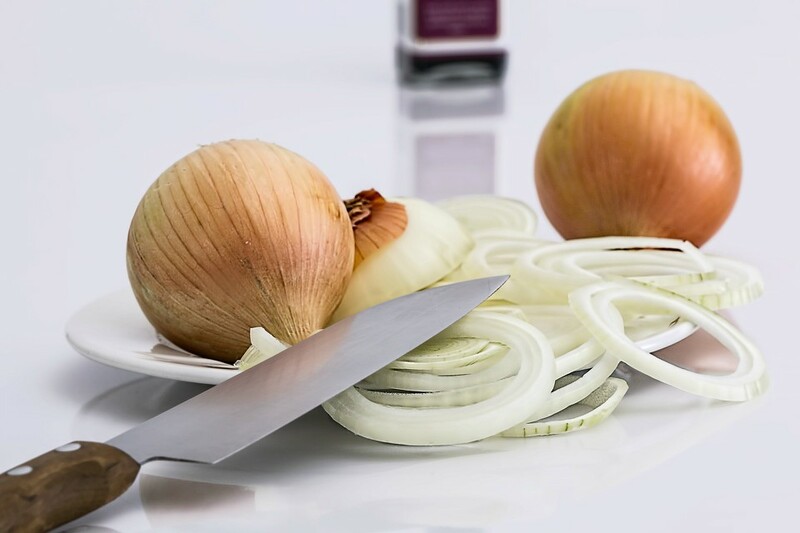 While onions aren’t usually the headliners of a dish, they play a supportive role in bringing out the flavors of a dish. Sliced finely, they add a sweetness and a crunch that elevates a simple meal. Pick up a block of quality Parmesan cheese and your life will be changed for the better. Chef Stephanie points out that when freshly grated, Parmesan has a softer, more easily meltable quality compared to the pre-grated Parmesan found on store shelves—and that makes your simple, home-cooked meal even more delicious. Block Parmesan also stays fresh longer. The secret to adding a pinch of citrus to your simple meals, a zester allows you to safely skim a bit of a lemon peel (or lime or orange peel) to add some zing. 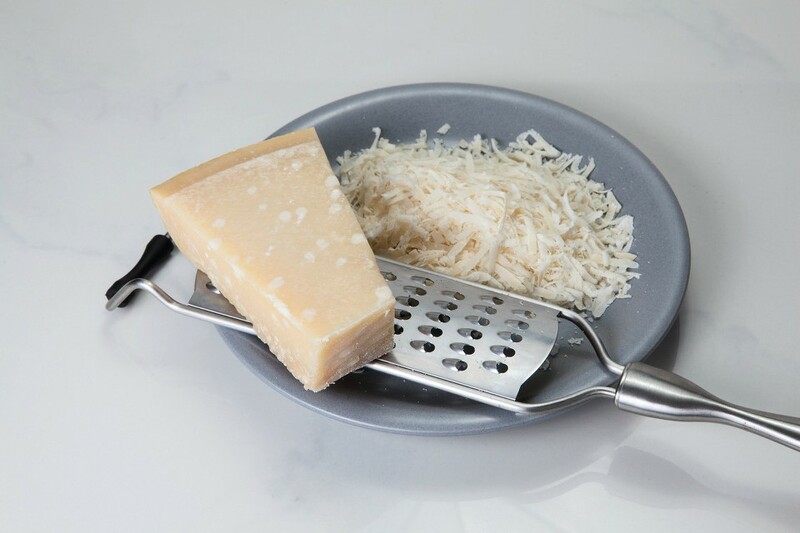 Since you’re going for the good block Parmesan cheese now, invest in a quality grater. Finely grating your cheese brings out all that melting goodness in a way that slicing cheese with a knife just can’t do. We prefer a small microplane with a comfortable handle. Simple dishes are often tossed together, literally, and so you’ll want to use a pair of tongs. Whether mixing a pasta, a salad or a pasta salad, you’ll create a more evenly distributed mix and spill less of your dish on the counter when using the correct tool. How sharp is your chef’s knife? Is it versatile enough for thinly slicing garlic or piercing a large squash? A quality chef’s knife is a must-have in the kitchen. Your knife should be so sharp that you don’t have to apply too much pressure to pierce the skin of a tomato. The old adage that a sharper knife is safer than a dull knife is true. There you have it: four key ingredients and a few essential tools to keep in your kitchen! Jot down what you need so you have these items on your next grocery list. Of course, we hope to see you at Kildare’s soon, where we love to cook for you, but on those nights you need to escape the world and chill out at home, you’ll be all set. Kildare’s in West Chester is a destination: an authentic Irish pub that has something for everyone. We’re a place to bring the family for weekend brunch; cheer your favorite soccer (or American football) team; enjoy next-level fare at a business lunch, dinner with friends or special event; spend happy hour (questionable dance moves and all); and, of course, imbibe great beer, whiskey and other adult libations. Join us and find out why we’re not your average Irish pub.